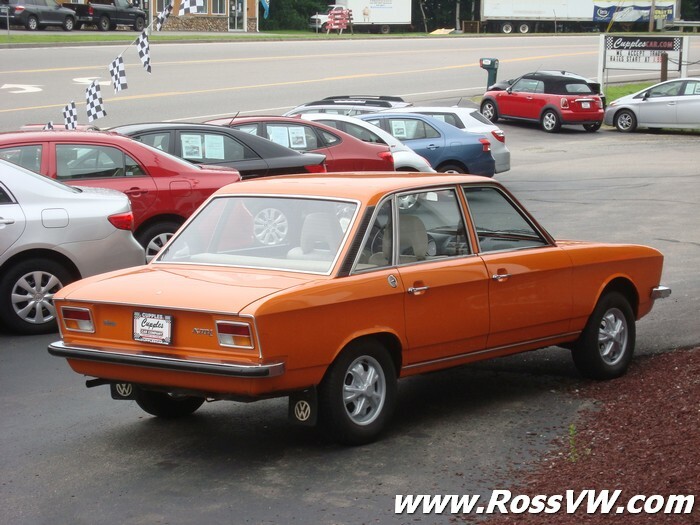 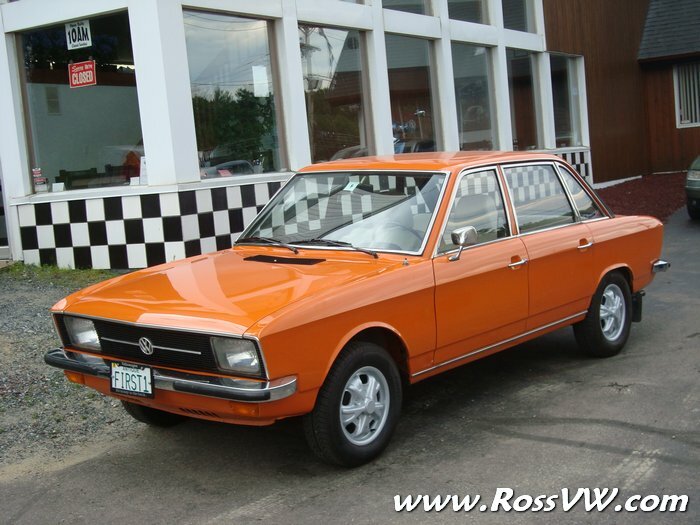 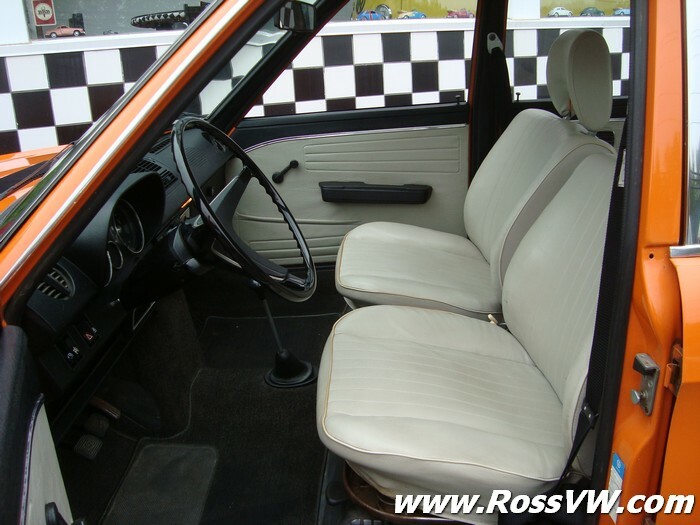 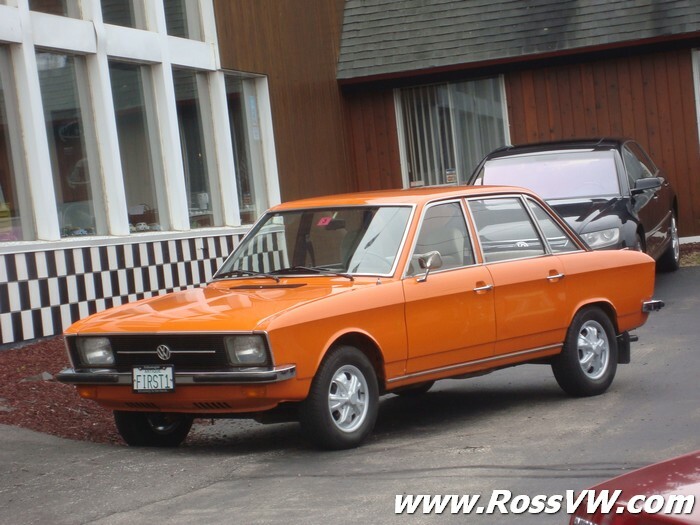 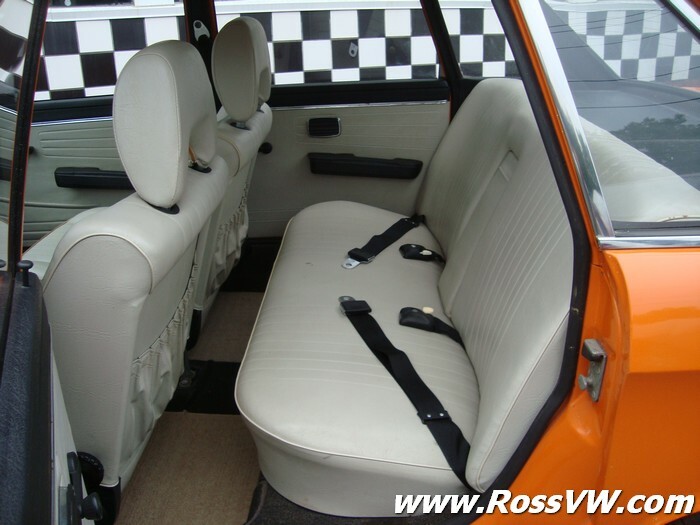 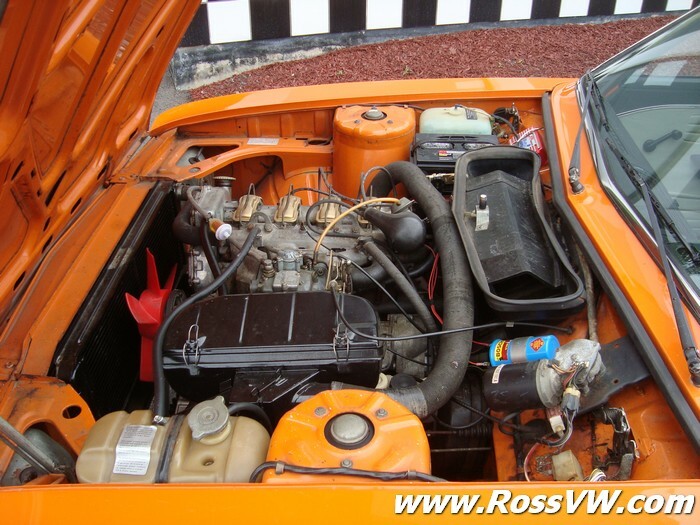 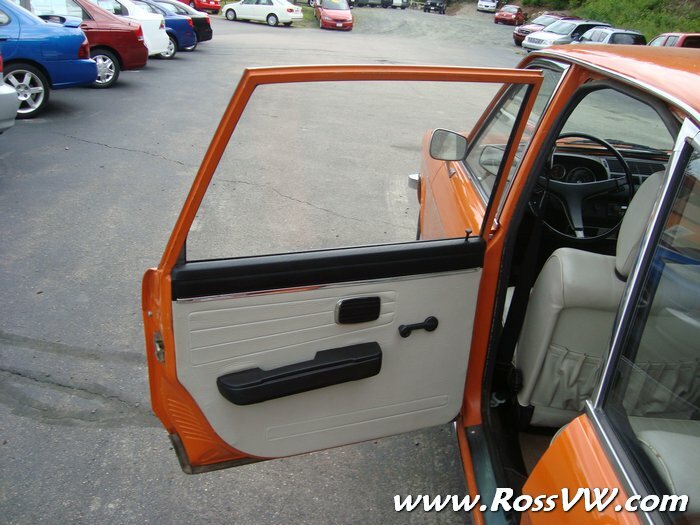 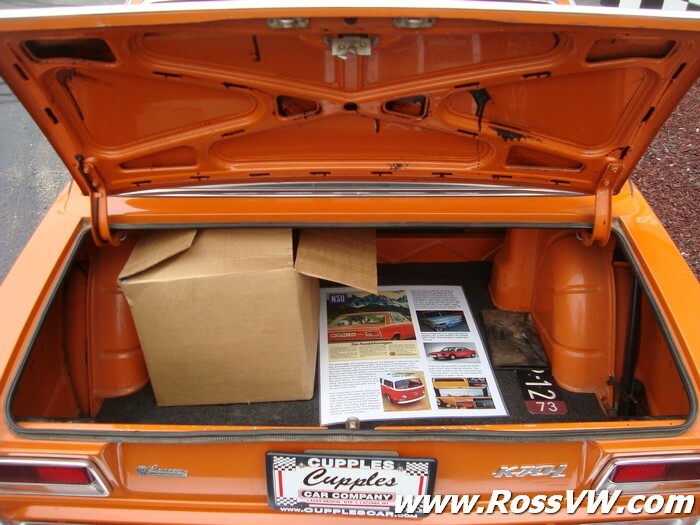 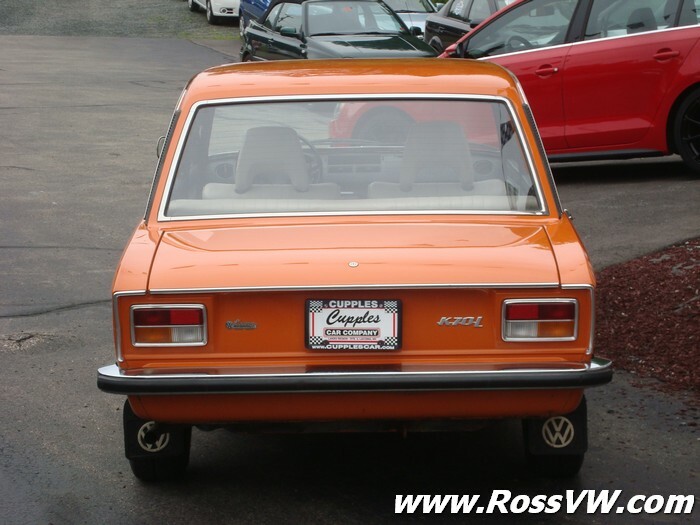 ﻿ 1972 VW K70 Sedan in the USA - www.RossVW.com! 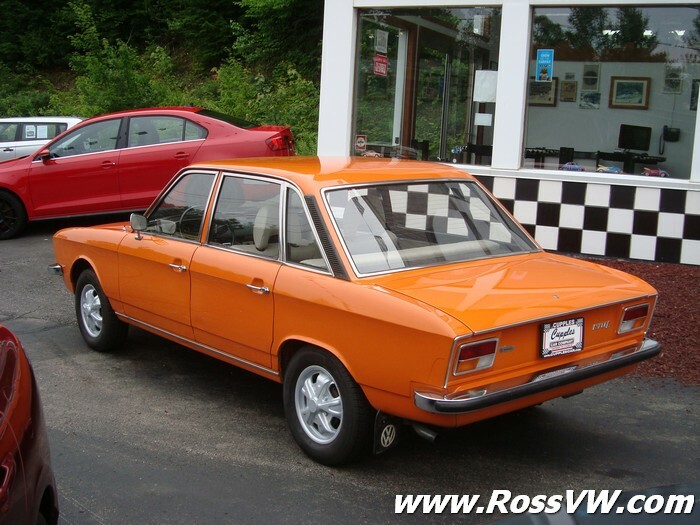 Talk about RARE. 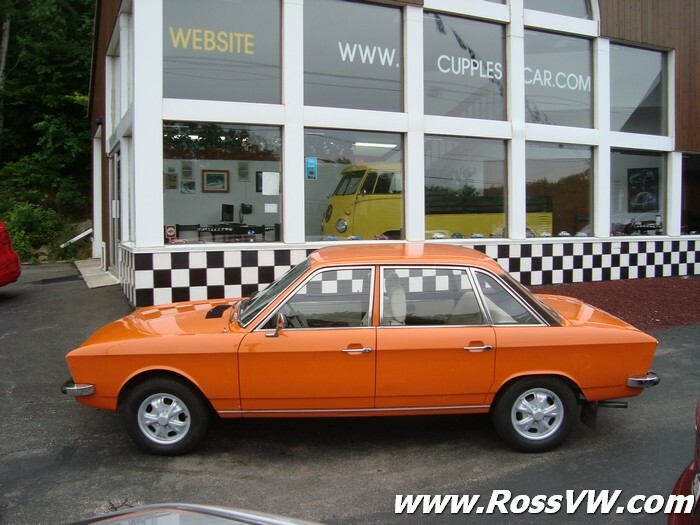 The only known running K70 in the US, and probably one of the lowest mileage most original K70's in the world! 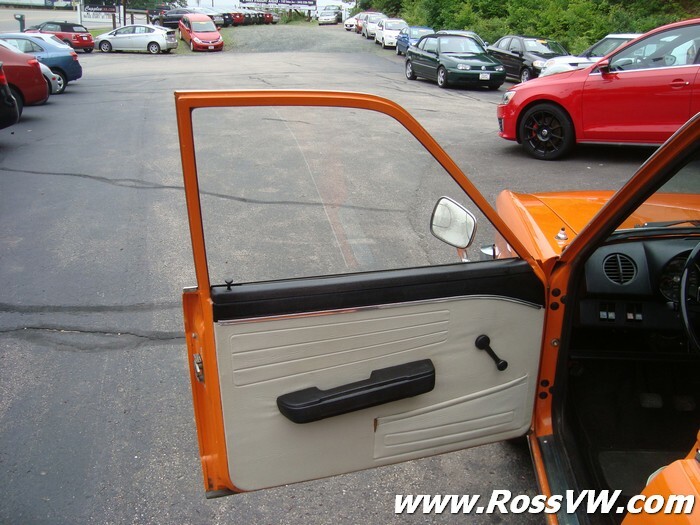 But what's a K70? 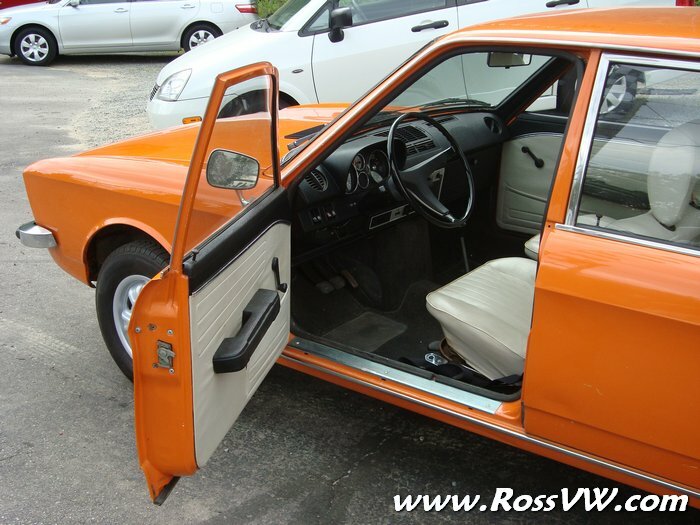 The K70 was engineered by the German automaker NSU as a smaller more reliable car to offer under the NSU Ro 80. 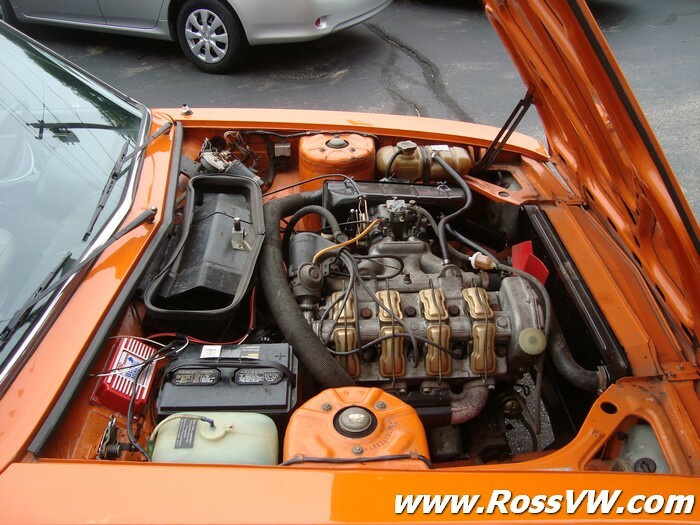 The K70 has a conventional 4-Cylinder water-cooled piston engine, and is front wheel drive. 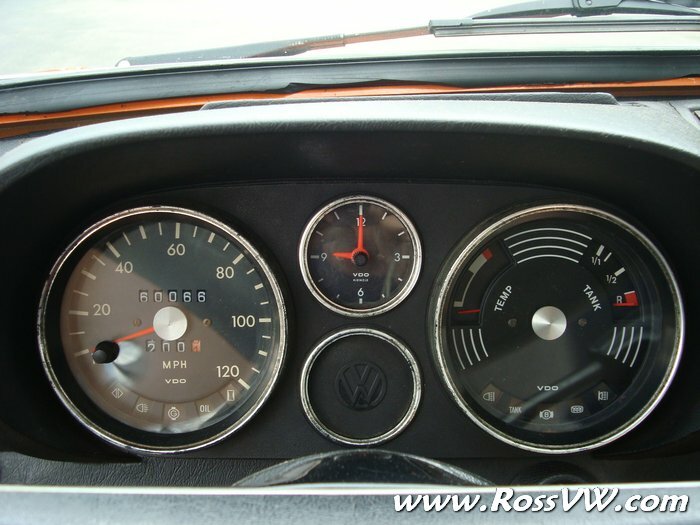 VW took over cash strapped NSU in 1969, and chose to build and sell the K70 branded as a VW to supplement the ailing Type 4 with a more modern water-cooled front drive car. 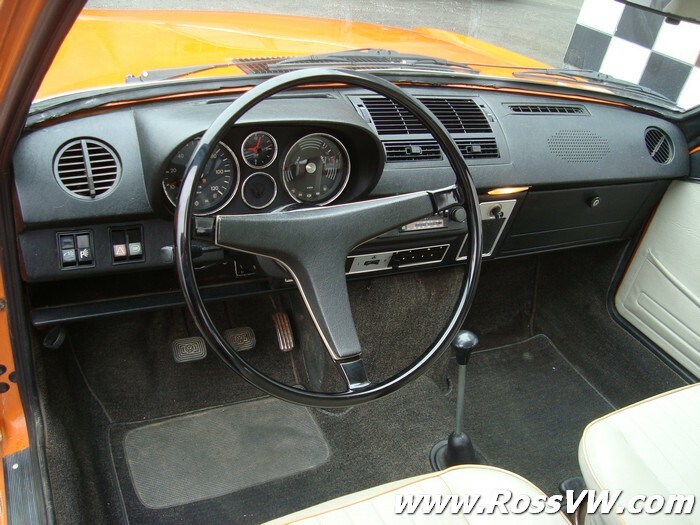 The K70 represents the bridge between the air-cooled rear-engined cars and the modern front-drive water-cooled era. 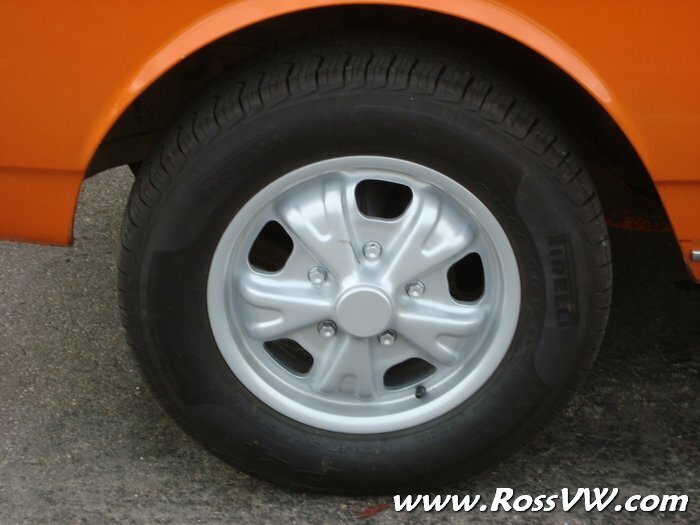 (More great information here). 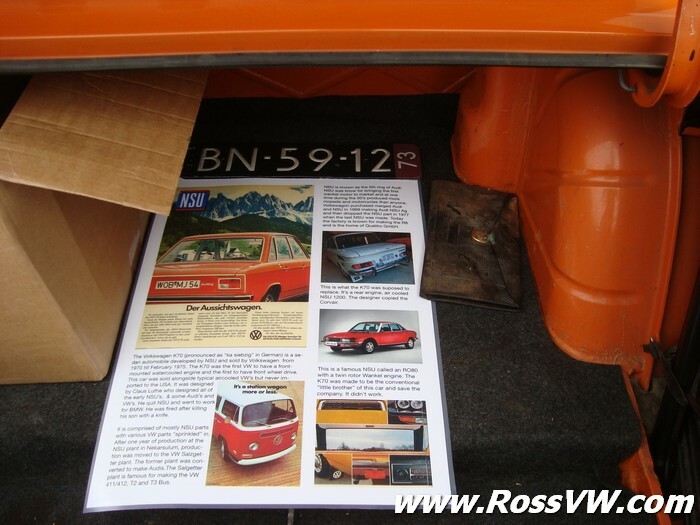 I had only read of the K70 in VW history books, and saw my first one in person on a visit to VW's AutoStadt where the first K70 that rolled off the assembly line was on display in a historical line up in the ZeitHaus. 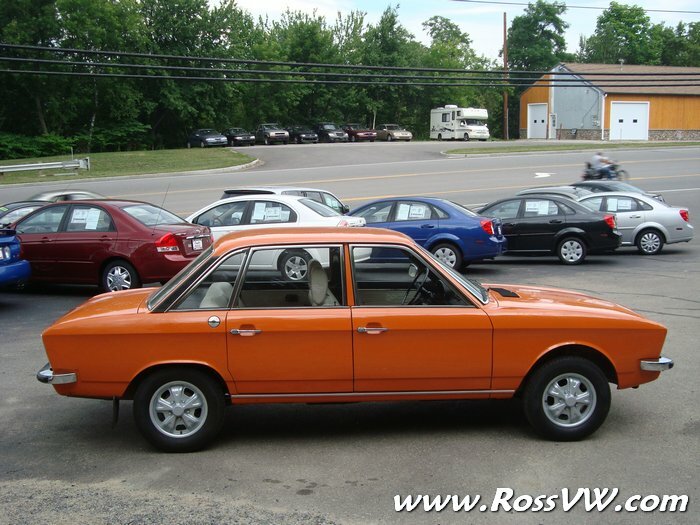 Months later, I received an email from a fellow VW enthusiast who spotted the car listed on TheSamba.com and thought I would be interested. 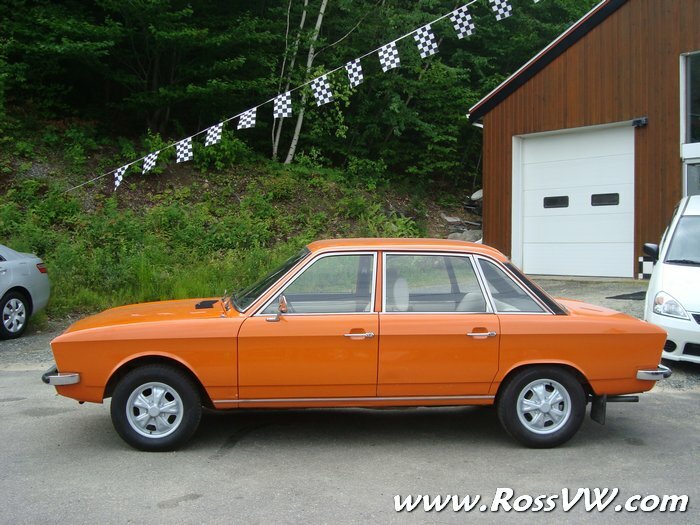 After many months of talking about it, I purchased the car from its second owner, Kurt, who is an NSU enthusiast in Sunapee, NH that purchased the car from its original German owner (who brought the car with them when they moved to the USA). 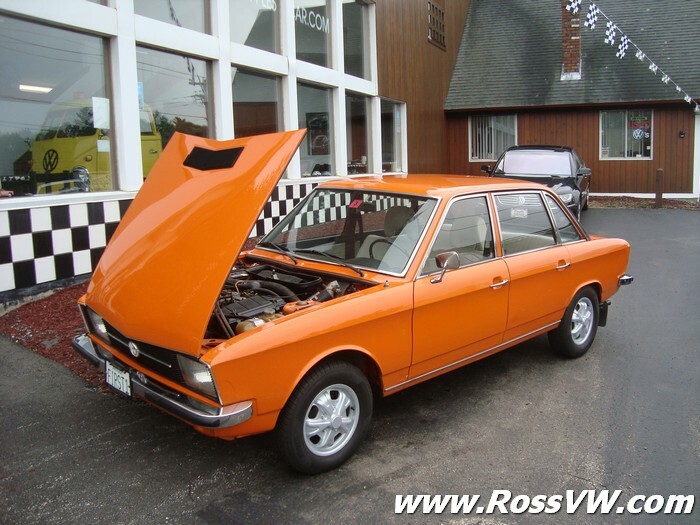 Kurt lovingly spent much time and effort (and money) getting the car to its present original state. 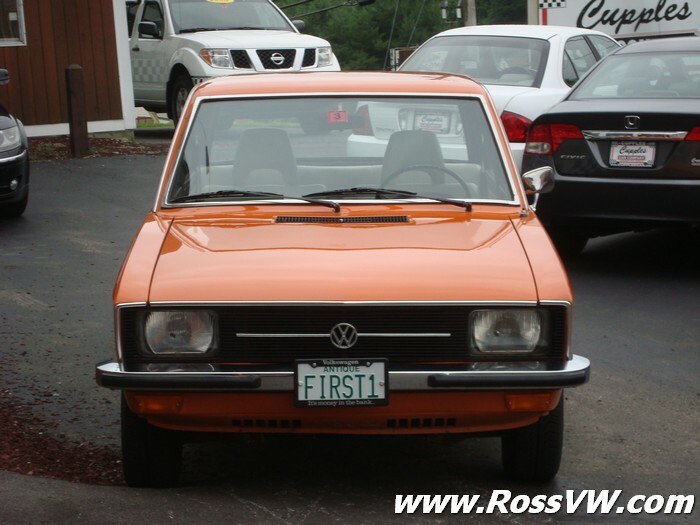 I never thought I'd get a chance to own one of these incredibly rare and historic VW's, but I couldn't believe that there was one practically in my back yard and couldn't pass up the chance to add it to the collection. 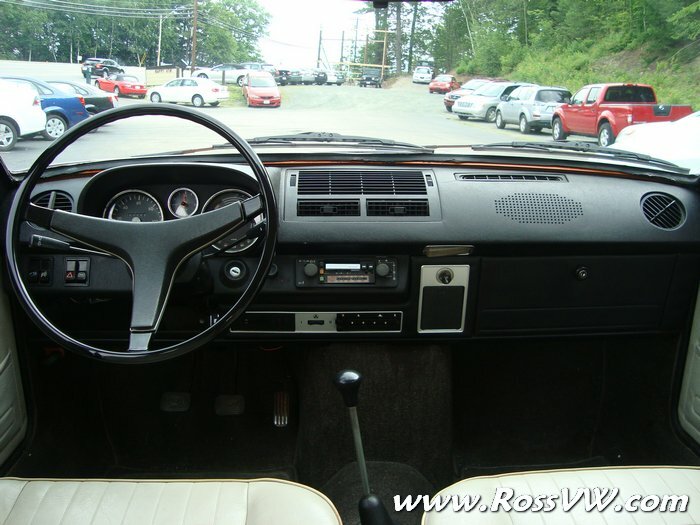 Check out the photos below or go back to the main page.